Don’t get me wrong. You can still live in your current property. However, if your main intention is just for residing purpose, you are not maximising on what you can achieve with your investment in that property. 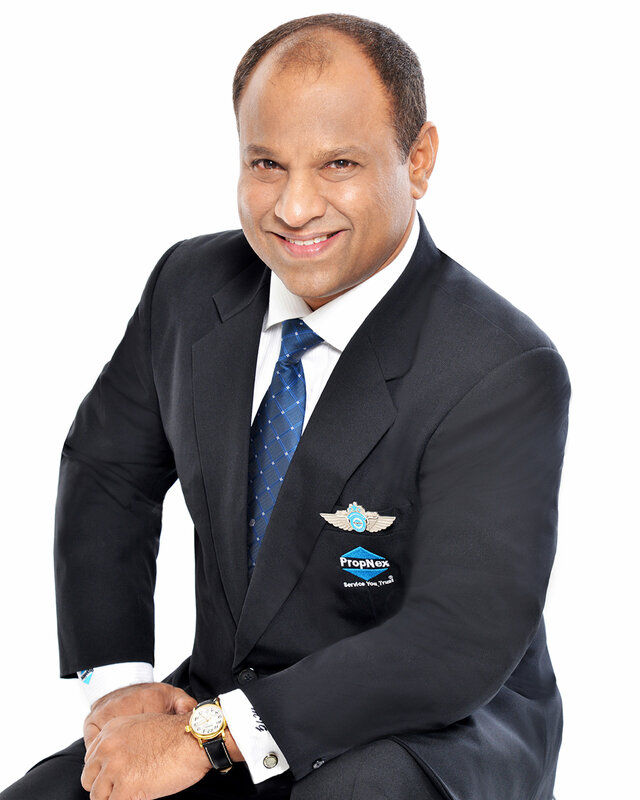 I am Ismail Gafoor, CEO of PropNex Realty, the largest listed real estate agency in Singapore. To illustrate what I mean, I would like to share my personal story. I was about 20 and was serving my National Service. Me and my buddy from army were on our way back to military camp on a cool, breezy Sunday evening and we were chattering on the bus as it travelled past Cavenagh Road. At that moment, our conversation turned, when my buddy commented that his uncle sold his house in 1982 for a profit of a quarter of a million dollars. The revelation simply blew my mind away! To a newspaper boy, the sum of a quarter of a million dollars was not just unimaginable; it was extraterrestrial and somewhat criminal! In my world, every newspaper that was sold yielded a profit of about 4 to 6 cents, and yet, some guy out there had made a profit of a cool quarter of a million dollars by selling a house! Without waking up at 4 am or working too hard! Deep inside me, I felt that the world was unfair in its remuneration. Yet, as I passed Cavenagh Road every week after that, the impression of the humongous profit sank deeper into me. My journey of real estate investment started at the young age of 22. I was newly married, and my wife and I needed a roof over our heads. For the sake of convenience, and not having much savings, we bought a three-room public housing resale flat which was situated next to my in-laws. Two years after the purchase, we sold the flat and bought our first private apartment at Normanton Park in 1987 for a sum of $95,000. For the uninitiated, only Singapore Armed Forces officers were entitled to purchase Normanton Park units then. Three years later, in 1990, we sold our Normanton Park unit for $133,000. From the small profit we made, together with some savings, we decided that we should acquire for ourselves a freehold inter-terrace at Guan Soon Avenue. And herein came our first dilemma. When we decided to buy the house, many people advised us against the decision as property prices had appreciated 35% over the preceding three years. Many of our seniors told us that the purchase decision was unwise, and that we should wait, as prices would come down later. My wife and I did our calculations. Yes, our finances would be stretched, but being young and only 26, we felt that we could afford the house. Thus, we proceeded with our purchase of the Guan Soon inter-terrace house at $610,000 while it was still being built. My wife and I stayed in that house for a period of time before deciding once again to sell the house at $735,000 in 1992. At its peak, our $610,000 house was worth $1.6m in 1996. We made, once again, a little profit, and using the capital gains with some savings, we made a decision to buy two properties this time: a single-storey semi-detached house at Richard’s Place for $525,000 and a studio apartment at Mandarin Gardens for $390,000. We rented out the house at Richard’s Place because, at close to 4,000 sq ft, it was bigger than what my wife and I needed. We preferred and enjoyed the cosiness of our studio apartment in Mandarin Gardens, living on the 23rd floor with a beautiful city view. I am a proud owner of several properties in Singapore and overseas. Not bad for a man who started as a newspaper boy. My success story in property investment can easily become yours. What are the 5 ways to build your wealth with Property Investment? 3. Hold or Sell? How to identify the cycle for maximum gain in your investment? 4. Is it really true that you can Profit from Multiple Properties? 5. Is the Grass Greener on the other side? Should you invest in Foreign Properties? His passion as an outstanding entrepreneur prompted him to start PropNex and through sheer dynamism, has grown it into a property giant with thousands of salespersons under his stewardship. He has spoken about property investments to various organisations and numerous events, both locally and abroad. 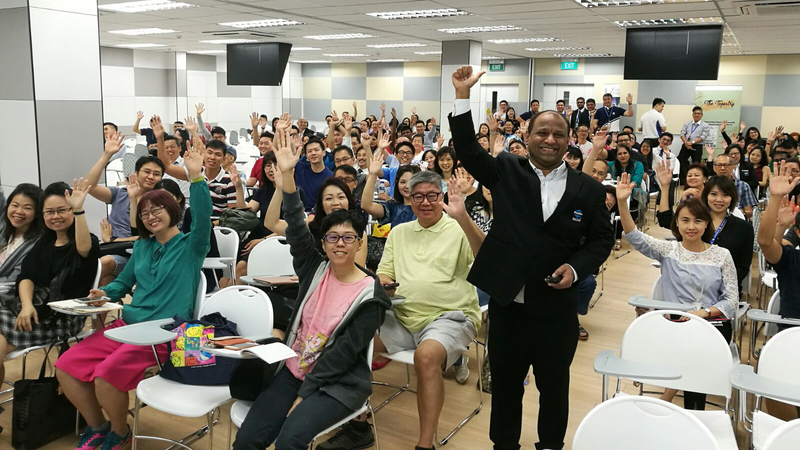 He is currently the keynote speaker at the quarterly Consumer Empowerment Seminars, with close to 1,000 attendees each session, empowering home owners, savvy investors of property market trends for more informed decisions. His views and insights on the property scene are much sought after given his inspirational communication skills, ability to lead, motivate and influence people. Thank you for signing up for the Consumer Seminar. We see you soon! Copyright © 2018 PropNex Limited. All rights reserved. Copyright © 2019 Khai Rambo.